Lori Hinze, professional educator with over 15 years of classroom and culinary instructional experience, professional culinary/food literacy programming and curriculum development and educational leadership, has earned recognition for her unique expertise and contribution to education. As a former elementary and middle school teacher, a 2007 recipient of Wal-Mart’s Teacher of the Year and graduate of The International Culinary Center, New York City, Lori brings a professional background of combined expertise and experience in education and the culinary arts. Lori uses cooking as a platform for teaching food literacy, academic reinforcement, boosting self-confidence, life skills and social skills in children to help the next generation live healthy lives through hands-on educational programming. Currently, Lori works as an Culinary Educational Consultant, Food Literacy Instructional Coach, Public Speaker and Founder and Executive Director of CookLearnGrow based in Austin, TX. CookLearnGrow, is a professional mobile educational program focused on food literacy through fun, hands-on curriculum and programming. The mission of CookLearnGrow is to create food literacy and lead people to real food through hands-on education, starting with kiddos! School lunch reform has begun to make a difference. But Lori believes real change begins in the classroom, not the lunchroom. For innovative schools who recognize the lack of food education, Lori believes food literacy, cooking and gardening educational programs are needed during the school day for Pre-K through High School. Schools and families highly value Lori’s food literacy program in four major US cities: Austin, Houston, Dallas and Seattle. Because the CookLearnGrow program enriches core academics, it also gives children the opportunity to excel in both the classroom and life. Lori’s philosophy is that food literacy and cooking reinforces academics and is a crucial part of the well being of a healthy lifestyle. She believes that when sports and hobbies end, cooking skills will serve children best. CookLearnGrow has developed a positive reputation in the education and community sectors as a leader in children’s food literacy education. Lori maintains strong and positive business relationships with existing partners while cultivating new relationships and partnerships in four major US cities. By providing a professionally led children’s food literacy program, CookLearnGrow has become highly valued and sought after by schools, master planned communities, recreation centers and private organizations. Through strong and positive business relationships with community programs, schools and private organizations, Lori possesses unique capabilities in educational leadership and training. Lori has also taught food literacy classes through Houston Central Market’s Cooking School and the Junior League’s “Kids in the Kitchen” Program. She has been featured in Edible Austin-notable mentions, at Texas Home & Garden Shows, on the Zagat Blog, Houston and Austin Farmer’s Markets, Chambers County Library Summer Program, Becker Vineyard’s Annual Lavender Festival, Austin-American Statesman, My Fox Austin, KXAN Austin and Fox 26 Houston. Additionally, Lori has taught internationally, using food literacy as a bridge to peace while teaching and consulting in Israel to Jewish, Arab and Christian youth in the Middle East. Lori serves as a travel host for culinary-based food tours to Israel through her host business, A Taste Of Israel. 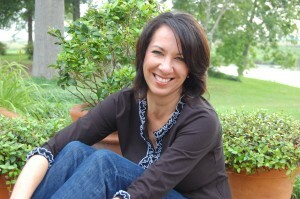 As Founder and Executive Director of CookLearnGrow, Lori offers unique capabilities in educational leadership and training. She offers a wide range of professional development and speaking on culinary educational topics. Her workshops are designed to motivate and inspire with practical tips that improve classroom learning. Lori also provides ongoing food literacy and culinary instructional coaching services to teachers and program coordinators in both educational and culinary settings. For teachers, she is available for onsite training to model lessons and classroom management techniques, support lesson and curriculum development and management and provide informal observations with feedback and ongoing support. For restaurants, foodservice and culinary related businesses, Lori is available for onsite training of staff of all sizes. Using proven training methods and upon successfully completing Lori’s proprietary challenging and rewarding training program, our client’s staff are fully equipped and enabled to be self-directed and high performing food producers or instructors for a professionally and personally fulfilling career. 15 years classroom teaching experience: PreK-5, 7, 12 in public and private schools, including Title 1 districts. 5 years of instructional coaching for classroom management, lesson planning and management, lesson modeling, mentoring and observing new teachers. Extensive experience in developing and implementing technical cooking skills, food literacy, food and kitchen safety, efficiency processes, organizational skills, time management, menu development, menu prep and execution ad professionalism. To schedule Lori for a television or radio segment, consultation, instructional coaching, conference/keynote speaker, or special events, please email info@cooklearngrow.com.